We would like to introduce you our “GALLERY” which is located on the same floor as LST Kyoto office and LST OATURAE SALON. It’s a space which can be used for various purpose such as photography or some other events. 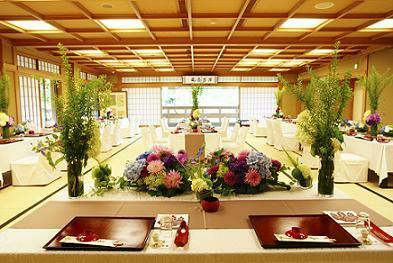 For about one month from today, the GALLERY is used as a model of “Seifu-den” of Saami ryoutei restaurant and you can make a selection of table cloth and flowers for your ceremony by checking with actual reproduced table settings. In addition to our very popular “On Location Photography Plan”, you can also have your wedding photos taken at this “GALLERY” which is more like the photography at the studio. But you will find the all-white 200m2 space is something new and fresh. LST planners will introduce you various original proposal or traditional culture of Kyoto at this place. We are so excited to think how we can utilize this place from now on. 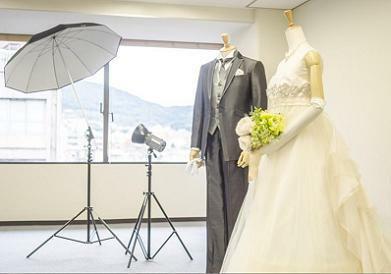 For more information on our “On Location Photography Plan” which is also popular among the couples from overseas or the “GALLERY Photo Plan”, please contact directly to LST’s headquarter in Kyoto or Tokyo branch.